Only manufacturers who define New Mobility will stay in the game "“ all the others will be doomed, argues race driver, blogger and investor Alex Roy. That's an incredible statement, from one of the most brilliant minds in human history, because 1) it assumes no level of innovation or profit can save 10 or more of the largest manufacturers in the world from bankruptcy and/or consolidation, and 2) Morgan, the oldest privately held car maker in the world "“ notorious for its reliability and production delays "“ will survive despite a total lack of innovation. What possible catalyst could precipitate this schizophrenic apocalypse? Doom, thy name is mobility, and those who fail to understand it are toast. For all the glorious talk about mobility, there's been very little talk about what it actually is and what it means for auto makers. My inbox is swamped with manufacturer press releases for Smart Mobility, New Mobility, Intelligent Mobility, Yadda Mobility Blahblah, but no one "“ least of all those media-trained Chief Digital Officers "“ can explain it beyond buzzwords. Sometimes, over drinks at an overrated lounge in Palo Alto, Detroit, or Austin or (insert German city here), one of them will confess it's all for show, that "vision" and "innovation" belong to Elon Musk, and that everyone's waiting for Tesla to implode so the old guard can step in with the manufacturing expertise and management lacking in Fremont. If your business plan is to wait for Tesla to close doors, I've got bad news. Tesla's survival has no bearing on anyone else's, because Tesla is no better positioned to survive "mobility" than any other car maker. Therein lies the irony. As soon as car makers start talking about the future, the default enemy is Tesla "“ who have nothing to do with mobility "“ followed by a soup of transportation problems that "mobility" will solve. - The end of car makers as we know them? So what is mobility? Is it a goal? A strategy? A product? Mobility isn't new. If you have two legs, you possess mobility. If you cannot walk, mobility via wheelchair has existed for over 500 years. From the wheel to wheelchair, unicycles, bicycles, trikes, ships, trains, cars, trucks, blimps, planes, rockets, ekranoplans, jet skis, helicopters and the space shuttle, mobility has been defined by the amplification of human will by machine. So, what is the New Mobility everyone is talking about? The transportation continuum "“ or the range of options available for getting from A to B "“ is full, at least until antigravity and teleportation arrive. Only issues of efficiency and friction remain. 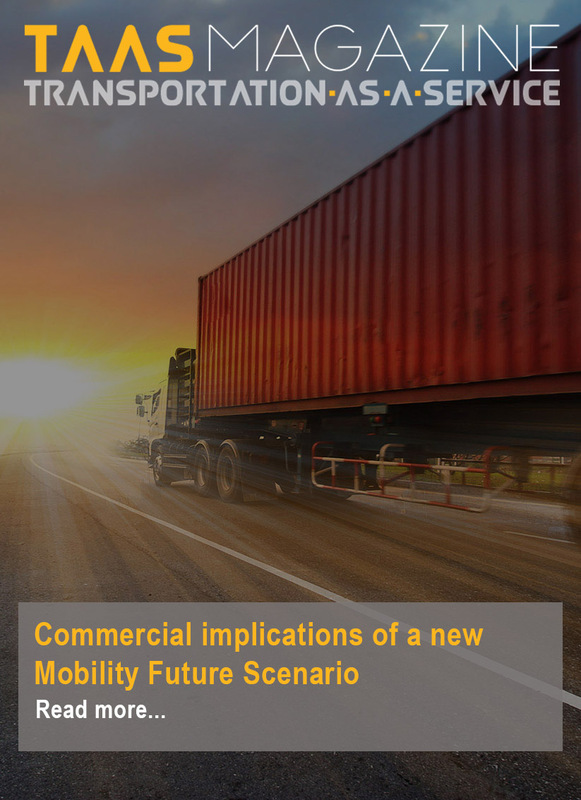 The New Mobility is therefore the elimination of inefficiencies and friction on the transportation continuum, both within and in between verticals. What therefore is the goal of New Mobility? The Multi-Pass from The Fifth Element. Seamless transitions between modes. A single point of payment for anything on the continuum. As Reilly Brennan says, whomever owns the customer wins. What is the strategy? Glue together as many adjacencies on the continuum. The best example? The evolution of Orbitz and Expedia, from the early flight matrices to travel package bundling. There's a reason Uber put ex-Expedia boss Dara Khosrowshahi in the big chair. What is the product? The platform. Here's where the unpleasant truth of new mobility kicks in for car makers. The end of car makers as we know them? In the New Mobility game, you start out as either manufacturer or a platform. Legacy manufacturers are highly specialized. Car manufacturers make cars. Bike makers make bikes. Aircraft makers make planes. They may dabble in adjacencies, but none are dominant outside their primary verticals. They rarely have direct relationships with end users even within their specialization, which is why in-house/single-brand platforms don't scale. What about platforms like Uber, Lyft and Didi? They make nothing, can enter any vertical they choose, and have direct relationships with consumers from Day 1. They can scale like crazy, but require at least one manufacturer in every vertical, in every market, in order to enter them. If Uber needs to own/finance cars, they're dead. Does this mean car makers are doomed? Of course not. Regardless of who owns the cars that go onto the platforms, someone has to make them. But as new and more efficient forms of transportation rise (electric bikes/scooters) and new behaviors proliferate (hailing/sharing/pooling), car makers are already under attack from products and services outside their verticals and competencies, against which they perceive no defense except duplication. If building platforms in-house is madness, investing in external platforms is a strategy, but not necessarily a solution. Margins in car manufacturing are already under terrible pressure. What are the margins for platforms? Terrible, with no end in sight, and no guarantee of improvement even with increasing automation/autonomy. Platform pricing power requires a monopoly. Good luck with that. There's a reason BMW and Daimler have already merged their mobility units. But there's a bigger problem; even if a car maker has a 100% success rate investing in external platforms, adjacent transportation modes, and gluing them all together to fill out the continuum, the end goal of New Mobility "“ the elimination of inefficiencies and friction in transportation "“ must destroy car makers as we know them. Because self-driving technology forces car makers to choose what their brands actually mean.